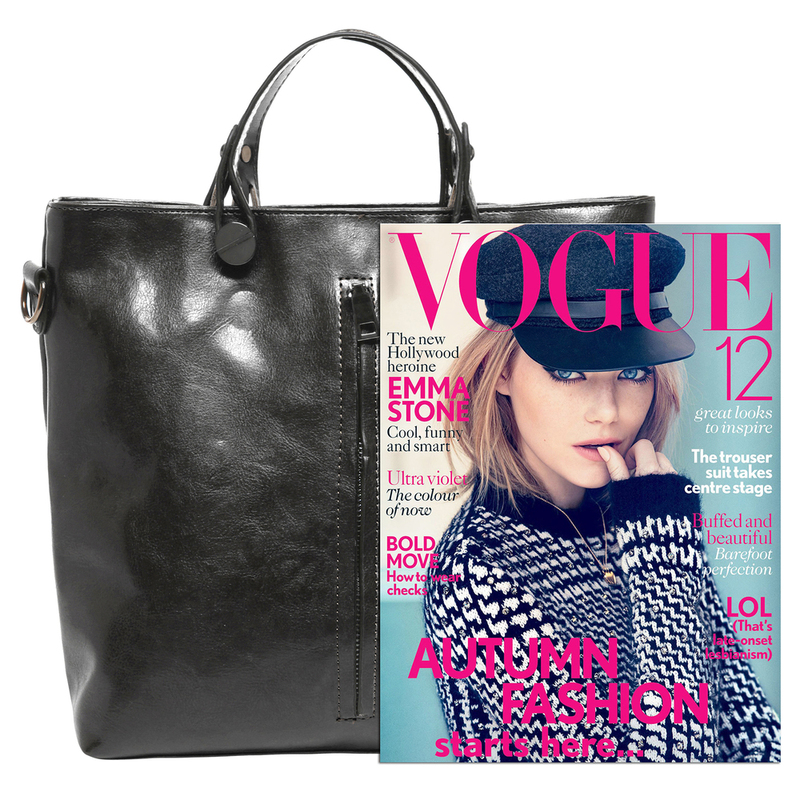 A stylish fashion tote with gunmetal-gray hardware and a sleek, gleaming leatherette exterior. Fabric-lined interior with 2 slip pockets and 1 zippered pocket and 1 zippered pocket on the exterior with the front vertical zippered pocket. 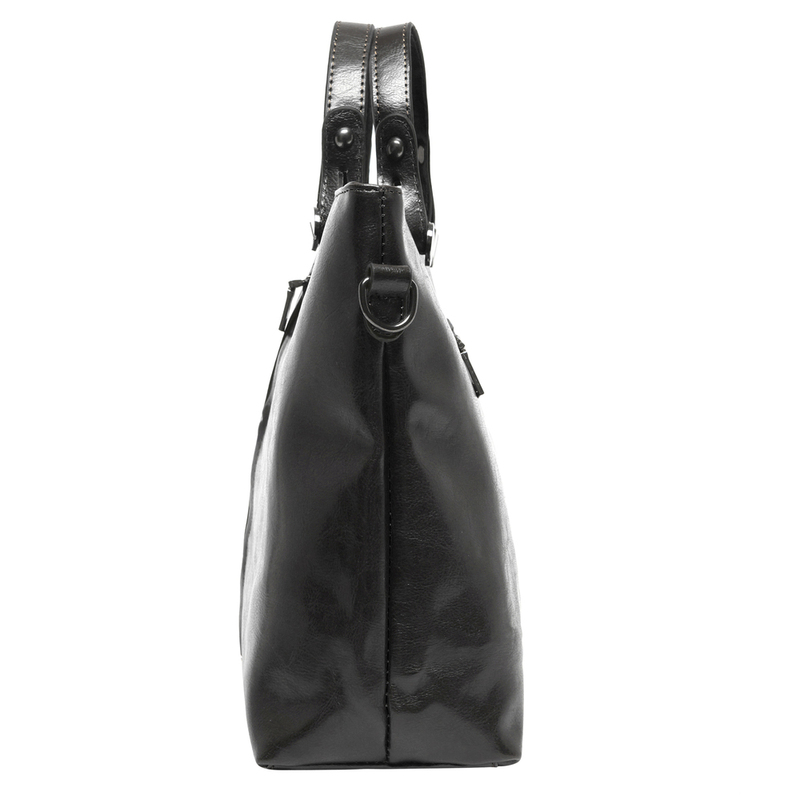 Includes 2 sturdy top handles & adjustable and detachable shoulder strap. 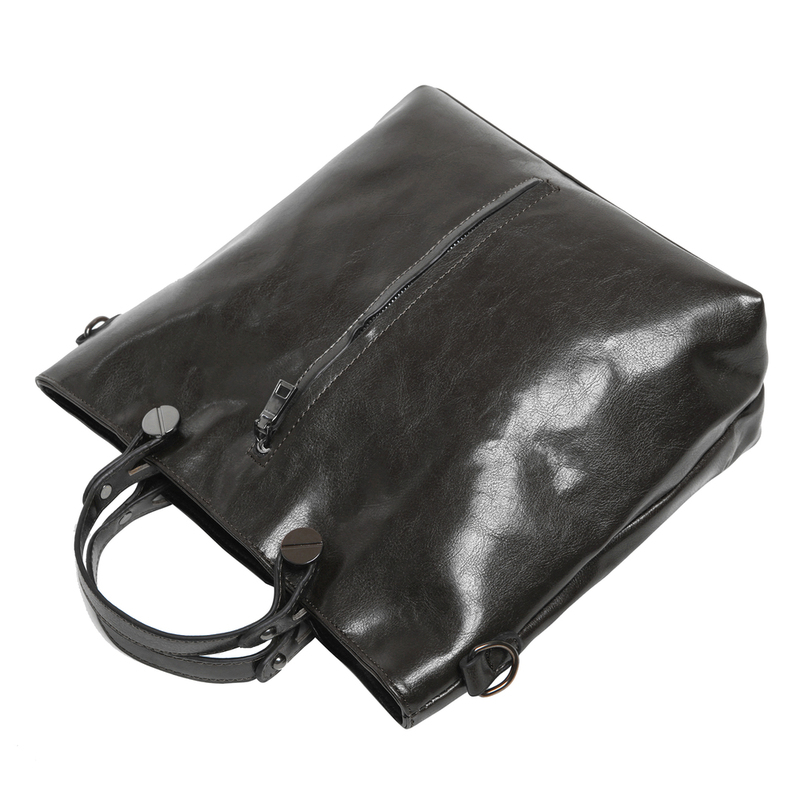 Approximate Dimensions: Exterior - 13" W X 11" H X 5.25" D; Interior - 13" W X 9.5" H X 5.25" D; Handles - 3.5" handle drop; Shoulder Strap (fully extended) - 26" shoulder drop. 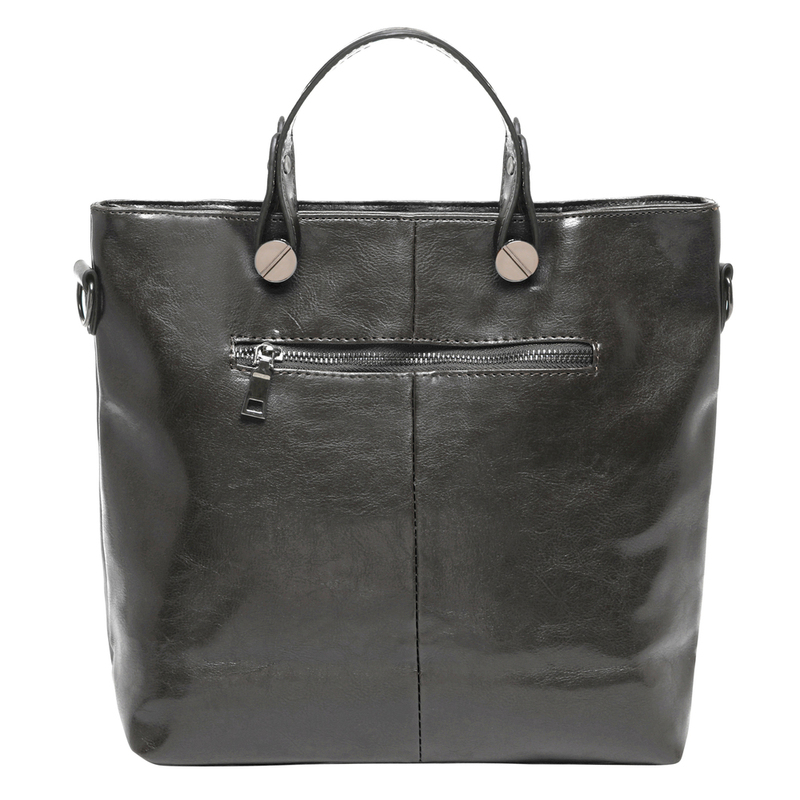 The sleek brown leatherette that makes up this top handle bags exterior is combined with a modern hobo bag shape and chic gunmetal-gray hardware to create a gorgeous women’s handbag that will keep you on the cutting edge of style as you go from day to night and from work to play. Beneath the stylish exterior and below the zippered top closure, this shoulder bag boasts a roomy and fabric-lined interior with 2 slip pockets and 1 zippered pocket that are ideal for keeping your belongings organized and easy to find. The exterior of this satchel purse features 2 more zippered pockets – a vertical one on the front and a horizontal one on the back – that provide extra space for small daily essentials. Thanks to this office tote bag’s 2 sturdy top handles and 1 adjustable and removable shoulder strap, you can keep this stylish and sensible fashion hobo tote bag close by your side throughout your day’s adventures.